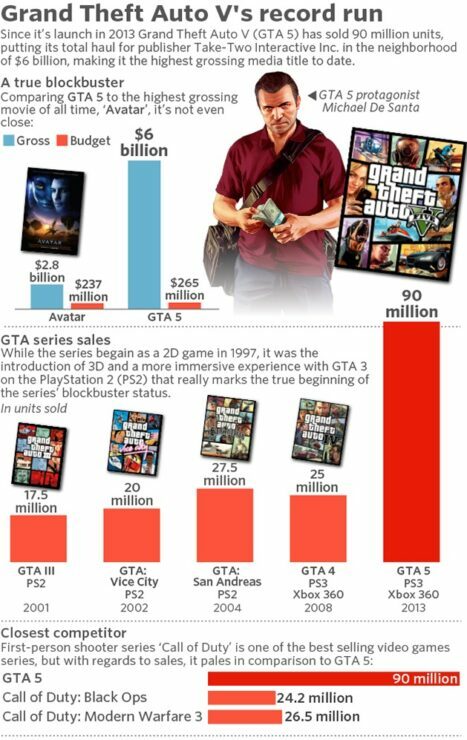 Take Two Interactive’s GTA V has become the most profitable media product since all time, thereby beating movies like Star Wars and Avatar. 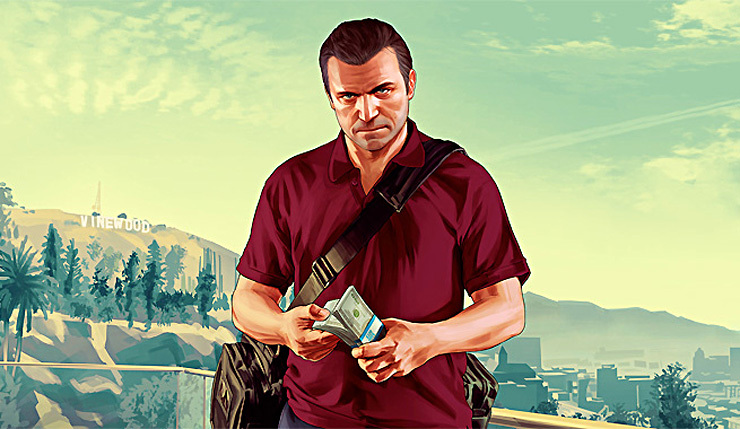 Grand Theft Auto V, from developer Rockstar Games, launched in 2013 and has since sold around 90 million copies across all platforms, and grossing in roughly 6 billion USD. For reference, movie hits such as Star Wars and Gone in the Wind harvested in more than 3 billion USD. Please note that Creutz refers to the Mario game franchise as a whole, but not a single Mario game has managed to harvest 6 billion dollars on its own. According to MarketWatch, the closest competitor for GTA V would be Activision’s Call of Duty series, but sales for this insanely popular shooting franchise fade in the light of GTA V’s sales. Back in July of last year, Take Two’s CEO Straus Zelnick talked about the insane success of the game, and his expectations for the upcoming Red Dead Redemption 2, which are said to be high, but not on the same level as GTA V.
GTA V and its online component, GTA Online, are available now for PC and consoles.